The ages of most of calderas, large explosive craters and active volcanoes in the Kuril-Kamchatka region have been determined by extensive geological, geomorphological, tephrochronological and isotopic geochronological studies, including more than 600 14C dates. Eight ‘Krakatoa-type’ and three ‘Hawaiian-type’ calderas and no less than three large explosive craters formed here during the Holocene. Most of the Late Pleistocene Krakatoa-type calderas were established around 30 000–40 000 years ago. The active volcanoes are geologically very young, with maximum ages of about 40 000–50 000 years. The overwhelming majority of recently active volcanic cones originated at the very end of the Late Pleistocene or in the Holocene. 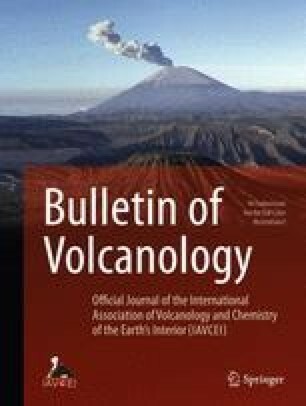 These studies show that all Holocene stratovolcanoes in Kamchatka were emplaced in the Holocene only in the Eastern volcanic belt. Periods of synchronous, intensified Holocene volcanic activity occurred within the time intervals of 7500–7800 and 1300–1800 14C years BP.